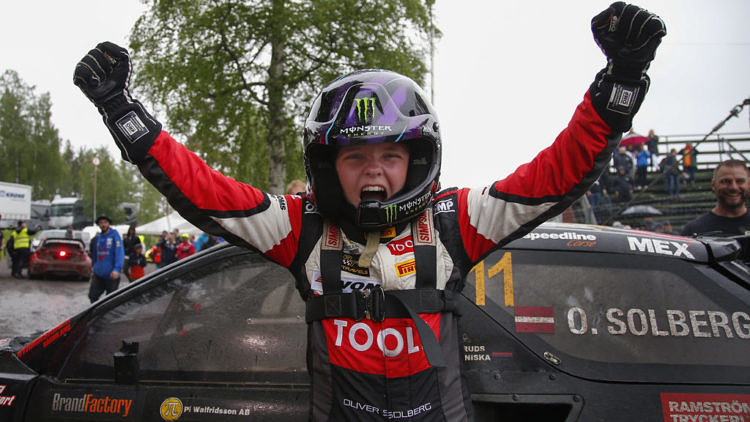 His father Petter may have carried the Solberg name to great successes over the years but on a rainy afternoon in Arvika last year, it was his son Oliver making the headlines after sweeping to his first RallyX Nordic victory. The then-16-year-old was competing in only his second RallyX Nordic event at the Swedish venue driving the Citroen DS3 Petter campaigned to world championship glory in 2014, but Solberg would be the one to defeat a high-quality field and come away with the winners’ trophy. Moreover, he did so in tricky weather conditions that would traditionally favour the more seasoned racer. 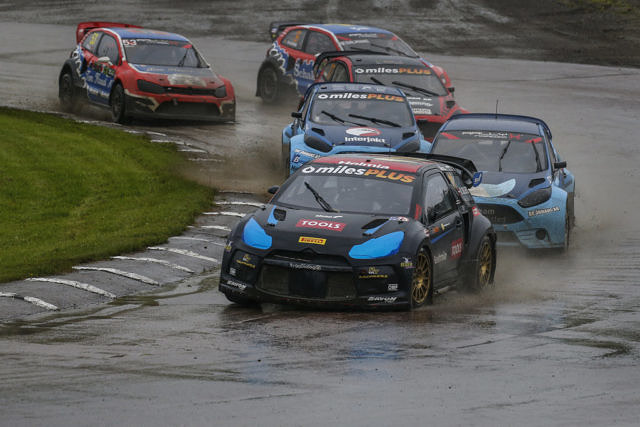 However, instead it was rival Thomas Bryntesson that cracked under the pressure with a spin, allowing Solberg to complete a famous maiden triumph. Indeed, while Solberg says he certainly benefited from advice offered to him by both Petter and current World Rallycross Champion Johan Kristoffersson, he admits he didn’t expect to come away with victory. Topping the podium so early on in his career, Solberg recounts the last few moments of that momentous race. After reaching the final in round one at Holjes, Solberg will bid for glory in Arvika this weekend where temperatures are set to be very different to twelve months ago with hot weather and sunshine forecast on Saturday and Sunday.